- 1 ) I do not manage to print a document in portrait (set the option (-orient 1 )) if this one is larger than portrait, in other words, I want to print my document in portrait even if my document is oriented in landscape by default. Do I need to set an other option with the -orient parameter? My command : pdfprint.exe -debug -restoreprinter -printer "\\10.0.0.10\GNBIDF2C5250" -paper "A4" -xres 1 -yres 1 -first page 1 -lastpage 1 -color 2 -orient 1 "C:\tmp\Balance générale test LARGE.pdf"
Only the orientation of the Watermark "Evalutation of VeryPDF PDFPrint" is changed like a vertical mirror. 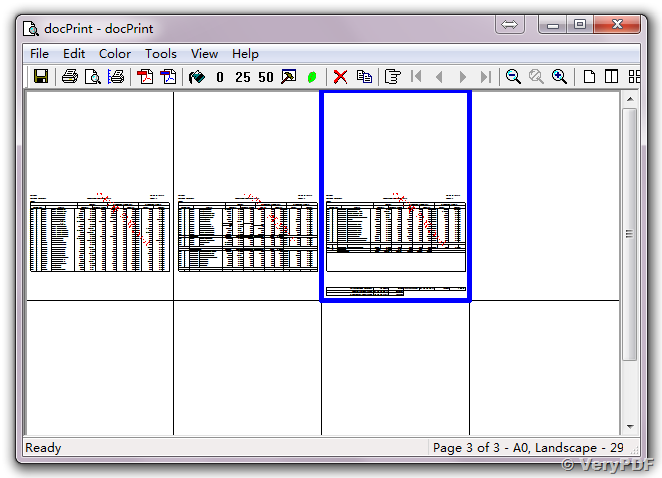 In general, our PDFPrint Command Line application does recognize the page orientation automatically. 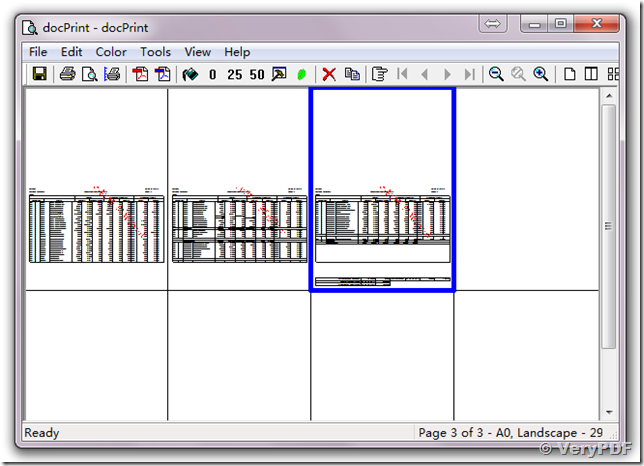 If you need to control the page orientation, you can use both -orient and -pdforient options. If you can't get these options to work, you may send to us your sample PDF file and your Order ID (if you have), after we checked your sample PDF file, we will figure out a solution to you shortly. 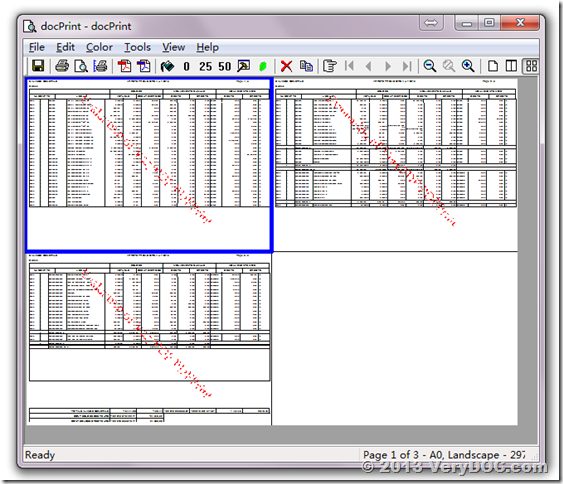 In attach, the sample pdf I whish to print in portrait. I can get a printout properly, everything is fine on the orientation, please look at attached screenshot, can you get same printout in your system? Me too I managed to print it, but only in landscape. 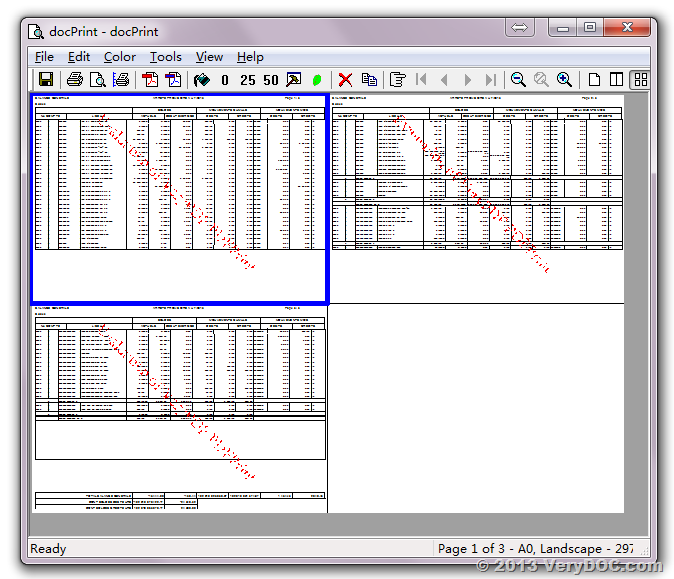 How do I print my PDF file to Windows Printer from command line without need Adobe Reader?